Gain the trust of the citizens! Prove your worth for the coming revolution! Guided by secret objectives, players wield influence and manoeuvre citizens into key positions around the city. 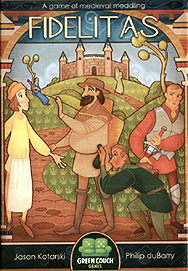 Master medieval meddling in this fast-playing card game for 1-4 players.